Home Aaron Ramsey Football Extras: Ramsey leaves Arsenal after 11 years. Football Extras: Ramsey leaves Arsenal after 11 years. A contract was reportedly placed on the table for Ramsey and subsequently withdrawn for reasons many don't seem to understand. The reasons notwithstanding, have Arsenal made the right choice in letting him go. The answer is No. Aaron Ramsey joined Arsenal from Cardiff in 2008. Since breaking into the 1st team he has been an integral, non-burdensome part of the Arsenal set up. He is currently the longest-serving player in the team and by letting him go, Arsenal will lose leadership and experience. 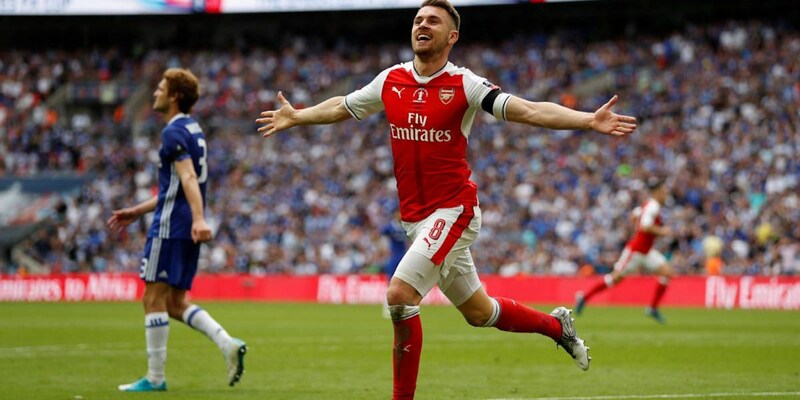 Ramsey represents the dream of all gunners cutting their teeth in the Arsenal academy and hoping to one day like Ramsey become the main feature of the team they know and love.